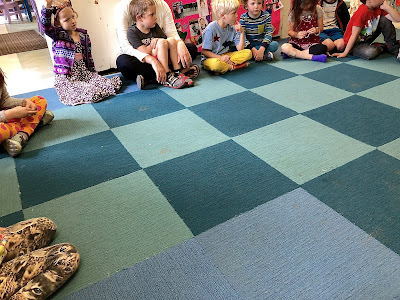 Yesterday, I wrote about the play that our five-year-olds wrote and performed to end our school year. This was followed by pizza on the playground with their parents, grandparents, and siblings, then a "bridge ceremony" in which each one "crossed over" from preschool to kindergarten. It was a big emotional day, but it wasn't our last day of school together. I like for our real final day to be as normal as possible because, after all, that's what we do best together. And it was. We gathered yesterday on the playground as usual, played, bickered, and settled our differences. We invited one another with sentences beginning with "Let's . . . ," played games about superheroes and baby tigers, and mixed up potions we called "toxic." The only thing that really set this day aside from all the others is that I planned to take a moment to tell them that I have loved being their teacher, to say that I would miss them, to wish them well, and to thank them for being my best friends. 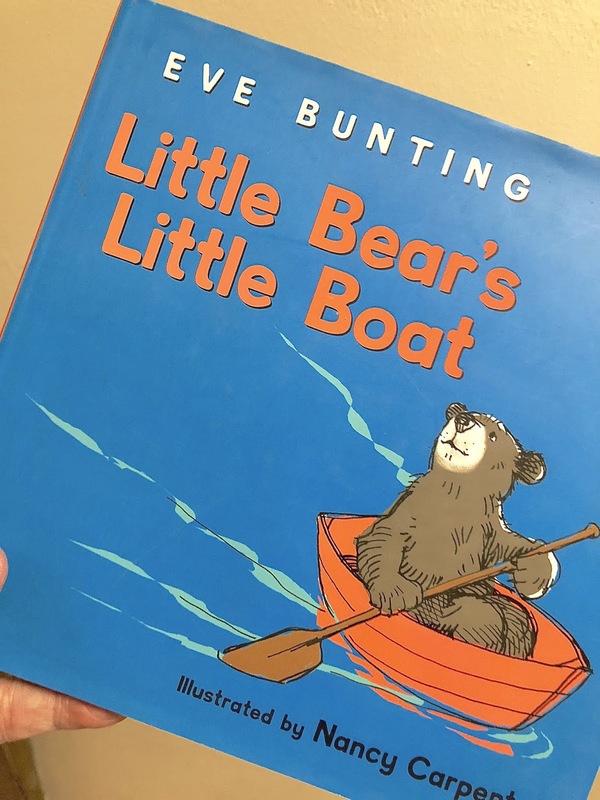 As we gathered on the checkerboard rug for what we call circle time, I held my copy of Eve Bunting's Little Bear's Little Boat, the book I traditionally read to children before sending them home as newly minted kindergarteners. I had read it the day before and I intended to use it as a jumping off point for my message. For those who don't know the story, the central metaphor is a bear cub who loves taking his little boat out on the lake to row and fish and dream, but, as is a little bear's destiny, he grows too big for his little boat and must finally give his boat to a littler bear. The story ends with big bear building a bigger boat for himself. The children clustered on the rug as usual, sitting where and how they will. Before I could begin my remarks, however, one of the girls said, "I want to try sitting in an actual circle today. We call it circle time, but we never sit in a circle." The kids decided to give it a go and they all scooted to the edges of the rug. 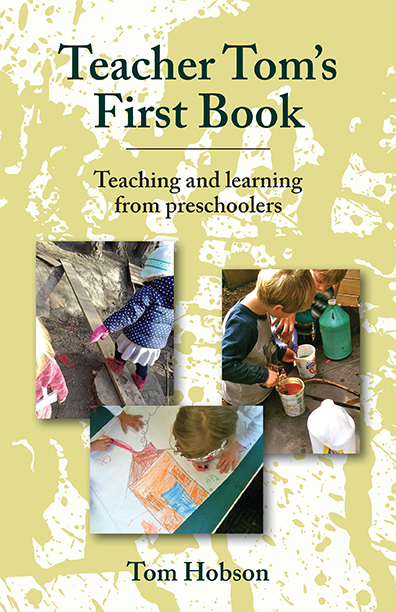 There was some discussion about whether we had formed a circle or a square, then I said, "I read this book to you yesterday . . ."
I was interrupted, "Hey Teacher Tom, I figured that book out! You're the little boat and we're the little bears!" Someone else chimed in, "No, this school is the little boat and kindergarten is the big boat." We spent a few minutes talking about the metaphor around the inward facing circle we had formed, talking to one another like best friends do, taking turns, sometimes raising hands, sometimes not. After a time, I took the moment for my message, referring to the metaphor that they all seemed to grasp. I thanked them and told them I'd miss them. A boy raised his hand in response, "I'm sad that I won't see my friends at school any more. I wish I could come back to this school." They sat looking around the circle at one another for a few seconds. In all my years of sending children off to the rest of their lives, I'd never experienced anything quite like this. There are always one or two sentimentalists in every group, but in this case the moment seemed to have impacted them all. One girl broke the silence, announcing, "I'm going to invite all of you to my birthday party." We then went around the circle as they declared their intentions to invite one another to birthdays and playdates, essentially swearing to be friends forever. One boy suggested, "I think we should meet in a park one day and do our play again," an idea to which everyone agreed. I've often gotten emotional at this time of year and there are always teary-eyed parents, but this is the first time I've ever witnessed a group of five-year-olds well up like this. Then, just when I was expecting them to break into a collective sob, a girl shouted out, "But there's good news! We all get to go to new schools. My school is really big! A lot bigger than this school!" There was an explosion of cross-talk then as the kids all began excitedly telling us about their kindergarten plans. Finally, by way of wrapping things up, I said, "So, we're all a little sad to be leaving our little boat behind for the little kids to use, but we're also excited about our new big boats. We made plans to keep being friends and to keep playing with each other and to go to each other's birthdays. I also want to invite all of you to come back and visit this little boat any time you want. Just tell your moms and dads and I'm sure they'll bring to you to visit. I'll be so happy if you do." There was a pause then before a girl answered me, "But Teacher Tom, you're invited to my birthday too." And then I received invitations to all their birthday parties, forever, before we went back to playing together, doing the thing we do best.